Duofilm Gel | Liquid Wart Remover Solution Review: Ingredients WORK? Duofilm Gel And Liquid Wart Remover Solution Review: Ingredients Work? Duofilm gel is an over the counter topical solution for plantar warts (verruca) and common warts. Is Duofilm in the form of gel, liquid, or lotion/ointment? Does Duofilm wart remover work? This duofilm review will comprehensively comb through its ingredients and instructions, Duofilm for HPV genital warts reviews, where to buy, and what are the OTC wart remover alternatives. Duofilm is prepared in the form of liquid, with its active ingredient is 17% concentration level of Salicylic acid that is commonly used in OTC products for skin condition treatment. Salicylic acid softens the skin layers of HPV wart so that it can be rubbed off with a pumice stone, or the wart can fall off by itself. Often used as a topical protectant, Flexible Collodion is a mixture of Castor oil, Collodion (as an adhesive to close small wounds), and Camphor that treats fungal infections and reduce itching). Castor Oil is a pale yellow liquid that is extracted from castor seeds (Ricinus Communis). Used for centuries for its therapeutic and medicinal benefits, Castor oil contains triglyceride fatty acids with antiviral and antibacterial properties that help fight warts. Ethyl Lactate has been used in acne treatment. When applied to human skin, Ethyl Lactate will lower the skin pH and decrease the formation of fatty acids. Polybutene is a oligomeric oil that is used in its hydrogenated form in cosmetics and beauty products, primarily in lipsticks and balms, as a binder, epilating agent, thickener and lubricant. It is naturally tacky or sticky and is also used for its adhesive properties. Duofilm liquid salicylic acid wart remover is usually made available in liquid form with the volume of 1/3 OZ (9.8ml), and Duofilm 15ml is in gel form. 1. Wash the affected area and soak the HPV wart in warm water for 5 minutes, dry thoroughly. 2. Apply Duofilm to sufficiently cover each wart, and let dry. Can use adhesive tape to cover the wart. 3. 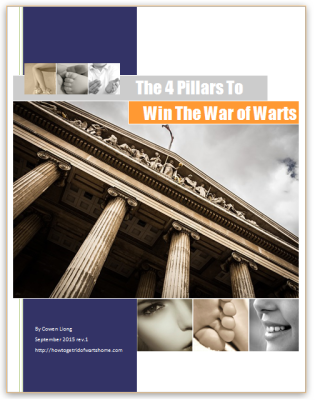 Repeat the procedure once or twice daily as needed (until wart is removed) for up to 12 weeks. The common Duofilm side effects may include Skin irritation, redness of the skin, dryness and peeling of skin. Most people will have no adverse side effects, but do seek medical attention immediately if you encounter severe side effects occur such as tightness in the chest, fast or deep breathing, or severe irritation. Whether you are from Canada / UK / NZ / India, Duofilm liquid salicylic acid wart remover is available to buy at Amazon online , in single pack or pack of 2. Customer Reviews: Does Duofilm Work? I had a small cluster of warts on my big toe, which spread to the second and fourth toes… I have just gotten rid of them using DUOFILM (an over the counter wart remedy recommended by my dermatologist) and Band-Aid brand TOUGH STRIPS. The acid from DUOFILM kills the surface skin; Bandaids work like the duct tape mentioned here, suffocating the wart. In approximately 4 months, I got rid of all the plantar’s warts. I’m ecstatic! I use a pommel stone to file it down and bought Duofilm gel from Australia. It was the only thing which worked for me. I tried bazuka but it didn’t do anything. I went to a doctor he told me to use Duofilm liquid and Wellcodox Capsules. After two weeks my wart is removed and I hope it won’t come again so I am feeling good now. Comparing Duofilm vs another popular Salicylic acid based wart removal product, Compound W Wart Remover Gel also has the comparable rating based on good feedback received from 436 customer reviews. So Compound W is a sound Duofilm alternative with comparable price. Duofilm For HPV Genital Warts and Skin Tags? As clearly indicated on product label, Duofilm is for removal of HPV common warts and plantar warts. As such, it is not recommended to use Duofilm off-label for other skin condition like acne, corn, and molluscum. Nevi-Skin is a topical cream formulated with natural herbal extracts for removal of plantar warts (verrucas), common warts, mosaic warts, and genital warts. 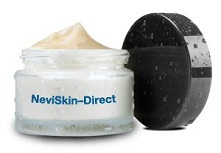 Nevi-Skin cream is also formulated to treat skin tags, syringoma, and skin moles on the skin and face. 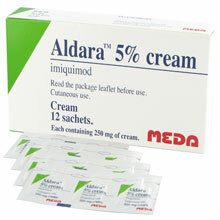 >> Check out Aldara Imiquimod cream at EuroClinix. Duofilm gel and liquid is a salicylic acid based wart remover formulated for plantar / common wart treatment. While Duofilm is a popular wart remover that generally receives positive customer reviews on its effectiveness, note that Duofilm is not a topical solution formulated to get rid of genital warts and skin tags as per its product label instruction. ← Skinprov Reviews: Advanced Moles and Skin Tags Remover Working?